Brian joined The Robert Weiler Company in March of 2016. He has well-rounded experience with office, commercial, retail, multi-family and land properties when working in commercial real estate. 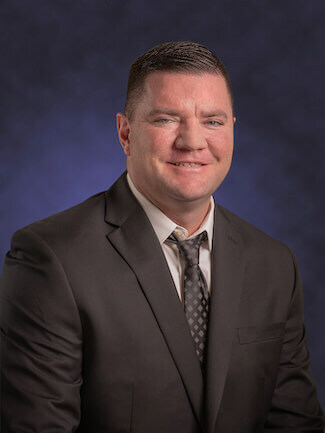 Brian is familiar with all sectors of commercial real estate but specializes in land and multi-family. Some of the highlights in Brian’s career include being involved in the brokerage and development for a large university as well as providing national, regional, and local clients with expert knowledge of the Central Ohio commercial real estate market. He has also been an exclusive consultant assembling other investment properties for acquisition by an Ohio university. Prior to Joining The Robert Weiler Company, Brian worked in Commercial Collections for 20 years. His professional affiliations include the National Association of REALTORS®, Ohio Association of REALTORS®, and Columbus REALTORS®. Brian has been a resident of Central Ohio for over thirty-eight years and is highly motivated to serve his community. He is currently studying Environmental Law as a current student at Columbus State Community College and will transfer his credits to The Ohio State University. In his free time, Brian enjoys weight-lifting, home repairs, and time with his family.